Bawumia was not left out in the expression of love worldwide. He surprised the adorable Samira by sending a rose to her office. Ghana’s vice president Dr. Mahamudu Bawumia and wife Samira Bawumia’s relationship has been a love story for ages, something that was only confirmed further by the vice president’s romantic surprise for his wife on valentine’s day. On Valentine’s Day, February 14, 2018, Dr. Bawumia was not left out in the expression of love worldwide. He surprised the adorable Samira by sending a rose to her office. 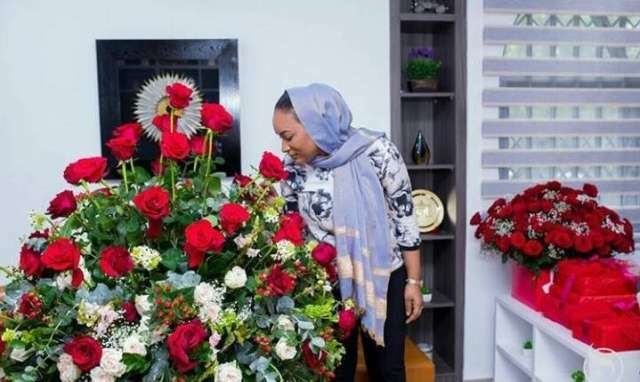 It was all joy written on the face of the second lady as the emissaries emerged at her Cantonments office to present the Val’s Day gift from her husband. video Valentine day surprise. Vice president of Ghana @mbawumia surprise his wife @sbawumia with red roses on Valentine whilst at work..